As the day progressed, all-time record temperatures were being reached. Melbourne hit 46.4 °C (115.5 °F), the hottest temperature ever recorded in an Australian capital city and humidity levels dropped to as low as six percent. The McArthur Forest Fire Danger Index reached unprecedented levels, ranging from 120 to over 200. This was higher than the fire weather conditions experienced on Black Friday in 1939 and Ash Wednesday in 1983. By midday wind speeds were reaching their peak, and by 12:30 pm powerlines fell in Kilmore East due to the high winds. These sparked a bushfire that would later generate extensive pyrocumulus clouds, and become the largest, deadliest, and most intense firestorm ever experienced in Australia's post-European history. The overwhelming majority of fire activity occurred between midday and 7:00 pm, when wind speed and temperature were at their highest, and humidity at its lowest. Those of us in the city that day will never forget it. Melbourne was surrounded by fire on three sides and the hot wind blowing down from the north seemed to carry with it the stench of death. At least 173 people were burned to death up country (although the exact total might never been known). Adrian Hyland's book Kinglake 350 is a description of what it was like in the bush itself. In particular it's the story of Roger Wood a police officer in charge of Kinglake, a small community at the epicentre of the fire. As the firestorm engulfed the town, "he risked his life, again and again, to try and save people.With the fire raging all around, he phoned home to warn his wife what was coming. She screamed that the fire had already hit their property. Then the line went dead." As the blurb on the back of the book explains "Black Saturday was a many-headed monster in whose wake stories of grief, heroism and desolation erupted all over the state of Victoria." This is a book about the monster—and the heroism of those who confronted it, the mistakes of those who left it too late to evacuate or thought they could ride it out. 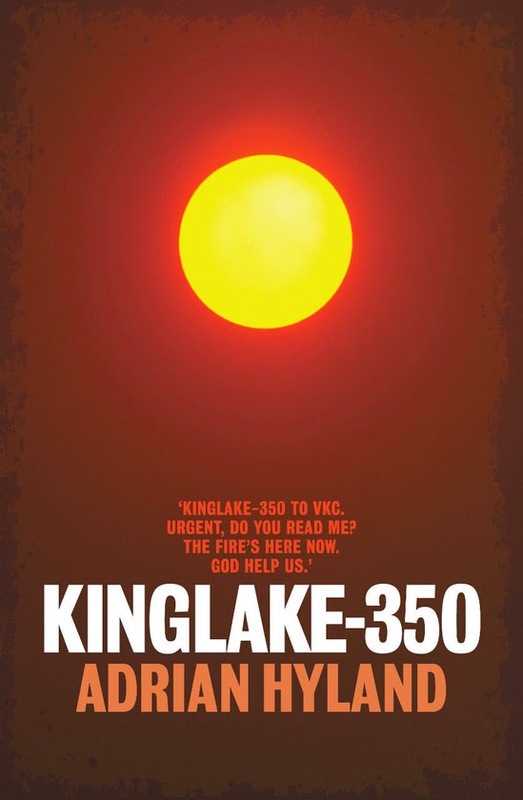 Kinglake 350 is a powerful, harrowing and fascinating read from one of Australia's most under-appreciated authors, the great Ned Kelly Award winning author Adrian Hyland.